Data privacy and data protection are hot topics this year. The Cambridge Analytica-Facebook scandal has raised important questions about how a consumer’s personal data is being protected. This, and the looming European Union General Data Protection Regulation, also known as the EU GDPR initiative, is putting further pressure on businesses to be more responsible, more accountable and more transparent when it comes to personal information and privacy laws. 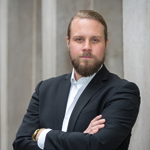 These growing concerns about data protection and changing policies are front of mind for every brand and marketing professional globally, and for good reason. 25% of online consumers are worried about the internet eroding their personal privacy. This is a figure that has increased from just 18% in 2013. There are also concerns specifically around the corporate use of consumer data. Globally, over 1 in 4 internet users strongly agree with the statement “I worry about how my personal data is being used by companies”. Part of the reason for these concerns may be that many consumers in the UK and internationally have been victims of identity theft and data breaches, with sensitive information such as email or credit card data being disclosed outside of their control. These concerns are inspiring action and perhaps an evolution in this digital age. In a bid to reclaim control, the most popular activity among today’s consumers is deleting cookies. 46% of consumers deleted cookies last month. This prevents businesses from collecting their browsing information, shielding their digital footprint and blocking the processing of personal data with cookie deletion and opt out activity. But this isn’t the only tool consumers are reaching for to protect their privacy. More than 1 in 4 internet users are getting online via Virtual Private Networks (VPN) – which anonymizes your IP address data. One third of consumers in the UK are using these tools for that purpose. These evolving trends and attitudes highlight the need for brands to follow suit. It signifies a growing need for businesses to prove their dedication to protecting the privacy of their consumers, while at the same time giving them the customer experience they’ve come to expect. This is especially the case now, as brands can be fined for poor disclosure of information based on the regulators in the EU, known previously as the Article 29 Working Party. Here’s how brands can measure up. Only 51% of businesses have an accurate inventory of where personal data for employees and customers is collected, transmitted and stored. That’s according to the 2018 Global State of Information Security Survey (GSISS) – an ongoing study conducted by PwC, surveying 9,500 senior business and technology executives from 122 countries. This relaxed approach to data security and privacy rules are no longer something consumers will accept. They’re being more vocal, taking action, and telling brands to disclose their data sharing policies and thus prove their unwavering commitment to privacy protection and privacy regulations. The Data Protection Act 2018 as cited by the Information Commissioner’s Office (ICO), the ‘Supervisory Authority’ of the United Kingdom, which supervises compliance of brands’ aims to make this harder for brands to tread around. More than ever, brands need to be careful about the partners they choose, especially when it comes to data providers. 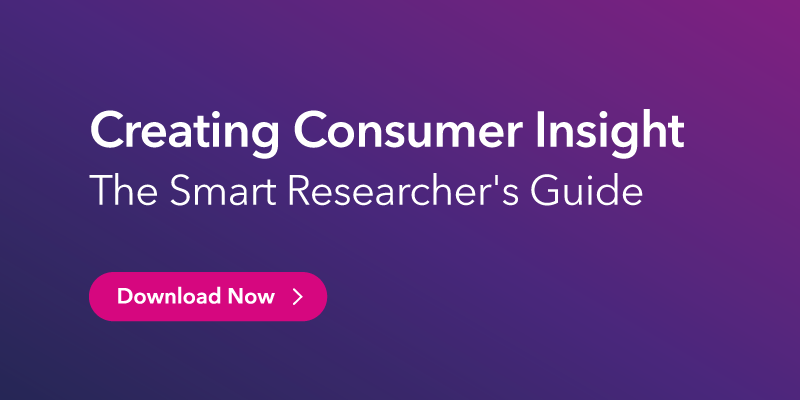 Third party consumer data is essential for businesses to gather in-depth research into their target audiences, enabling a more consumer-centric approach and empowering more strategic business decisions. Robust consumer insight will tell them who they’re targeting, what tactics will work, and what channels are worth the investment. But the quality of this insight depends on how the research is conducted, and the data collected. That’s why methodology matters, and demanding visibility into this methodology, processes and management, matters even more. For example, we conduct a global survey that’s fully opt-in, leveraging a panel of 22 million consumers to give marketers a true representation of their target audience. But as every data provider takes a different approach, demanding visibility into this is vital. 46% of consumers are now blocking ads online. The key reason behind the adoption of these tools is to avoid irrelevant, annoying and intrusive ads. This is something every brand should keep at the front of its mind when developing a targeting strategy, as it shows how consumer attitudes are changing in relation to digital advertising. Today’s consumers are highly aware of how they’re being targeted online through the use of their data, and they’re not afraid to take action when it’s being misused. To combat this, there’s an overarching need for brands to be more strategic in the way they advertise online, and more careful with the data they leverage. By using deep consumer research that’s trustworthy and specific to their target segments, it’s possible to put personalized marketing into practice, in the right way. This ensures you’re not targeting the wrong consumers with the wrong content, resulting in a greater ROI and avoiding a loss of favor, or any damage to a brand’s reputation. Transparency doesn’t only apply to data providers. As consumers are taking more control over their online experiences, transparent and authentic marketing is quickly becoming the only way forward for brands. This doesn’t just mean responding to privacy concerns by being open and up front about why you’re collecting consumer data and how it’s being used. It means living and breathing an authentic brand message that’s 100% consumer-centric. McDonald’s is one brand that has proven the value in being transparent. In a bid to dispel rumors and challenge perceptions around its produce and ingredients, McDonald’s Canada launched its “Our food. Your questions.” campaign. It offers customers a chance to publicly ask anything and gives McDonald’s the opportunity to stand behind its products. Since its launch in 2014, it has garnered over 42,000 questions, with over 3.8 million visitors reading questions and answers on the food quality FAQ website. This shows how consumers appreciate, and respond to, brands that practice transparency in everything they do. With more data protection regulations being put in place for consumers and legal protection being given by the EU and GDPR (with or without Brexit), privacy concerns should be at the forefront of every brand strategy moving forward. In many companies, a data protection officer (DPO) has also been put in place to ensure compliance with General Data Protection Regulation (GDPR) rules.